Wade Portee was born in Newark, New Jersey, and enlisted in the U.S. Air Force on April 22, 1981. After completing basic training, he was trained as an Aircraft Armament Systems Specialist at Lowry AFB, Colorado. His first assignment was as a munitions specialist on F-4E Phantom II fighters with the 347th Tactical Fighter Wing at Moody AFB, Georgia, from September 1981 to June 1983, followed by service as a weapons specialist on B-52G Stratofortress bombers with the 43rd Bomb Wing at Anderson AFB, Guam, from June 1983 to September 1984. AMN Portee next served as a weapons specialist on FB-111s with the 380th Bomb Wing at Plattsburgh AFB, New York, from September 1984 to November 1985, during which time he served on the Strategic Air Command Loading Competition Team. He then cross-trained into the Aircrew Life Support Systems career field, followed by service with the 1st Tactical Fighter Wing at Langley AFB, Virginia, from March 1986 to June 1996. 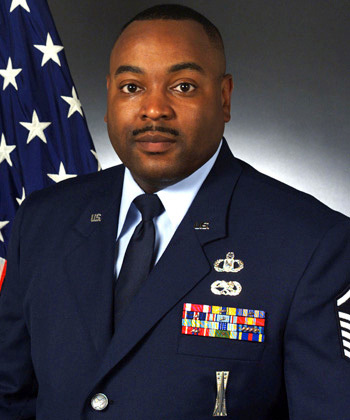 Sgt Portee next served with the 457th Airlift Squadron of the 89th Airlift Wing at Andrews AFB, Maryland, from June 1996 to January 2000, when he assumed the career field of Functional Manager on manned aircrew life support elements with the 89th Operations Support Squadron, also at Andrews AFB. MSgt Portee retired from the Air Force on October 1, 2002. Master Sergeant Wade L. Portee distinguished himself in the performance of outstanding service to the United States as First Sergeant, 89th Operations Support Squadron and Superintendent, Aircrew Life Support, 89th Operations Group, 89th Airlift Wing, Andrews Air Force Base, Maryland. During this period, Sergeant Portee's outstanding professional skill, leadership and rapport with subordinates were essential to the recovery from the 11 September attacks, while his resourcefulness helped to ensure the success of Operations ENDURING FREEDOM and NOBLE EAGLE. His ability to manage the 4.4 million dollar life support program directly contributed to the 89th Airlift Wing's 98.8 percent distinguished visitor departure-reliability rate. During his tenure, he has also served as a valuable asset to the community, handing out over 500 meals to the homeless over Thanksgiving and mentoring Skyline Elementary school children. In testimony to his diligent and selfless actions, he was selected as the 89th Airlift Wing Outstanding Aircrew Life Support Senior Noncommissioned Officer of the Year for 2001. 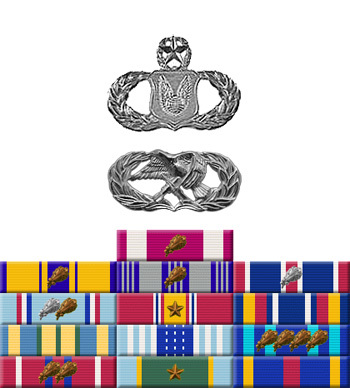 The singularly distinctive accomplishments of Sergeant Portee culminate a distinguished career in the service of his country and reflect great credit upon himself and the United States Air Force.